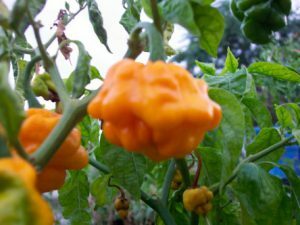 Thunder Mountain Longhorn-(Capsicum annuum)-These are amazing chiles that are skinny like a Cayenne pepper but can get over 1 foot long. They come from the region of Guizou. Surrounding this region are the mountains of Leigongshan which translates “Mountain of Thunder”. In ancient times these mountains were used strategically in defense and battle. 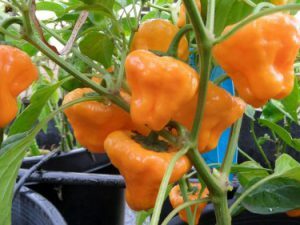 In this region chiles are used in many traditional dishes. The preferred method of preparation is to first sun dry and then smoke in coal houses to add smokiness like chipotle. 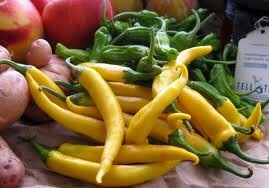 Later they are used as seasoning powders or to make sauces. This is not a Cayenne. 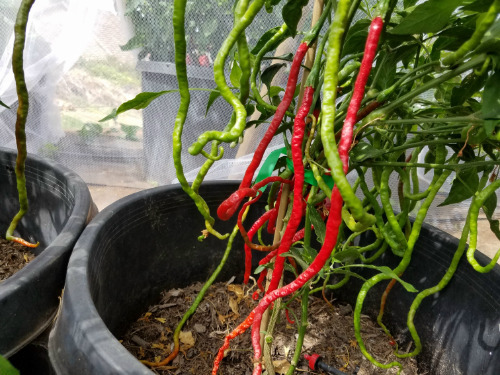 It has a much more complex flavor than cayenne. The Thunder Mountain Longhorn chile plants grow up to 4 feet tall and are very productive. 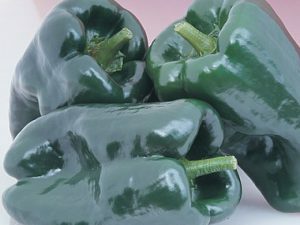 The chiles ripen from green to red!